Introducing One more Awesome deal on Seoclerks on demand of my valued customers.. Yes! 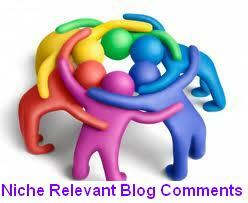 its Niche Related Blog commenting service on actual PR pages. All approved ones and sticky, 80/100% unique domain, Remember, Google values relevance link that comes from thematically related pages. Links will be post Manually and Dofollow/Nofollow mix to make natural linkbuilding as per google penguin demand and mostly nofollow, Complete Detail Report Will be Provided. Make Manually 50 Niche Relevant Blog Comment Penguin Panda Safe is ranked 5 out of 5. Based on 7 user reviews.